Now is the time of year when images of toys are dancing around in kids' heads as they imagine what they want to add to their holiday wish lists. My friends at The Toy Insider have published their 2016 HOLIDAY GIFT GUIDE to help parents sort out the must haves from the busts when toy shopping this year. As a member of The Toy Insider's Parents Pan who contributes monthly advice and tips for their website, I was invited to attend their holiday gift guides release party in New York City where many of its featured items were on display. Having a chance to check out a room full of toys during The Toy Insider's Holiday of Play event really has a remarkable effect on bringing out the inner kid in you! The Toy Insider's Holiday Gift Guide is full of brand new toys that have just been released this year. In addition to highlight fun and entertaining products, this guide also explores the educational and developmental benefits of toys. Look over the toy skill key included with the guide and see which of its attributes such as development of motor skills, school readiness, and tech smarts are identified next to each of the featured products inside. The Toy Insider's panel of expert reviewers identify their picks for the hottest toys for this year's holiday shopping season within the guide's HOT 20 list. Additionally take a look at the guide's Top Tech 12 list that provides a look at the most innovative tech toys on store shelves. Plus take a look at their STEM 10 list which features toys that will enhance a child's knowledge of science, technology, engineering and math. All these lists of must have toys are subdivided by age categories (0-2 / 3-5 / 6-8 / 9+) to assist parents, family members and friends in picking out an appropriate gift for any child. CLICK HERE to check out all the recommendation's in the The Toy Insider's 11th annual Holiday Gift Guide. Here are some of the highlights of my attending The Toy Insider's Holiday of Play event to celebrate the release of their annual gift guide. I'm a huge NFL fan! Sunday afternoons between September and January are reserved for watching football games. 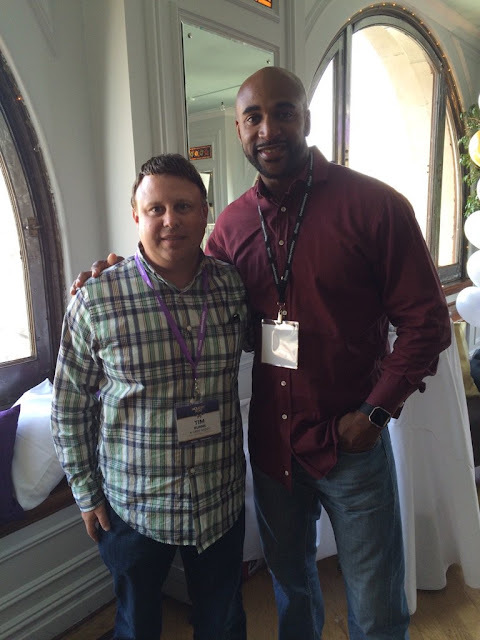 So I was thrilled to meet Giants great David Tyree who is known for making one of the greatest catches in Super Bowl history during The Toy Insider's Holiday Gift Guide release party. 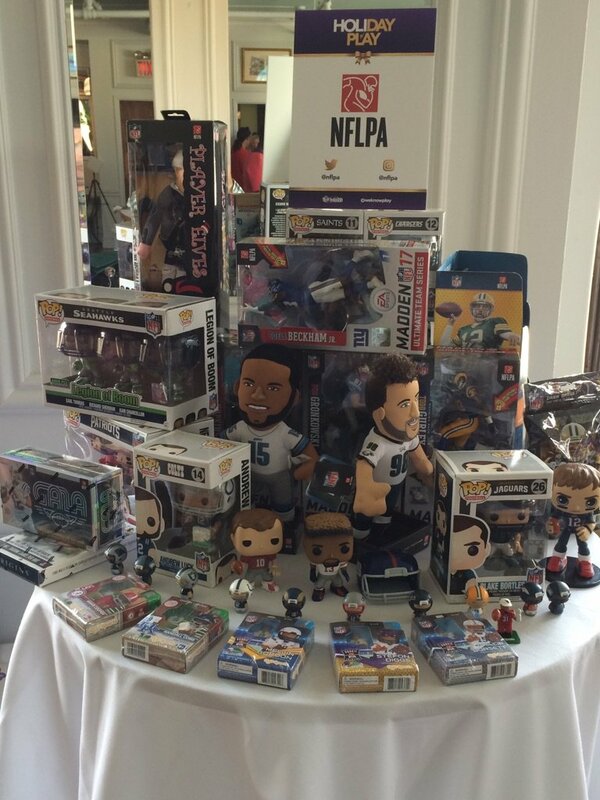 The NFL Players Association invited him to attend and brought out a bunch of NFLPA licensed toys for attendees to check out. UBTECH Robotics were one of the highlights of the event for me. 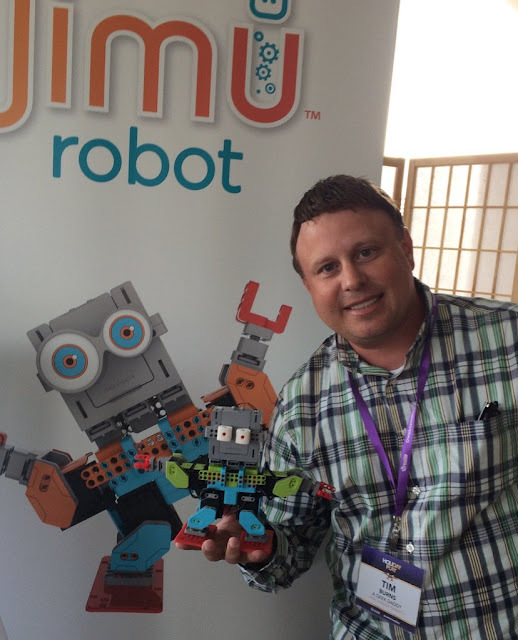 I was really impressed by their new line of STEM-friendly Jimu robots -- they are both educational and entertaining plus they can really dance! PJ MASKS seems to be the popular TV show with the preschooler crowd so parents of children in that age range will want to keep an eye out for the new toys that have just come out featuring the popular characters from the Disney Jr. animated series. 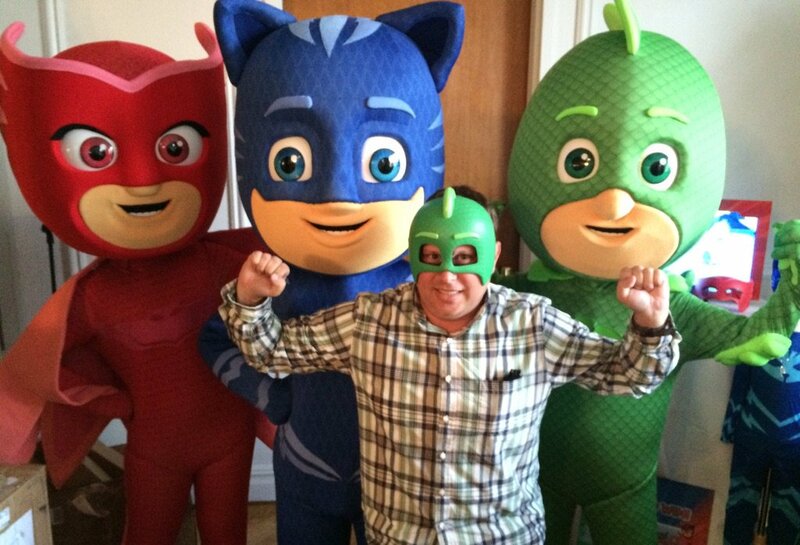 I had a blast hanging with the PJ MASKS crew. 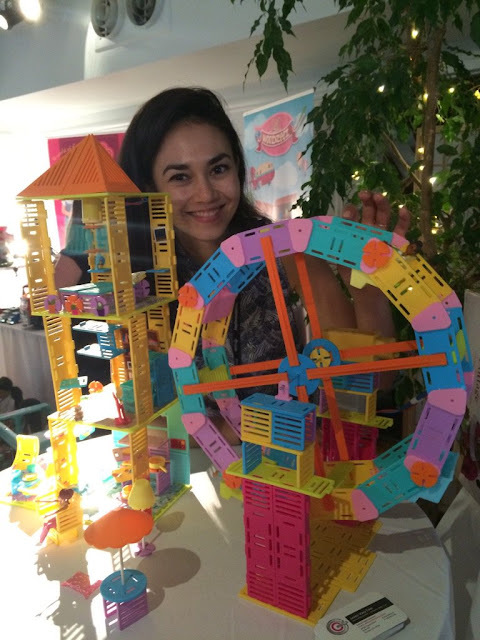 I had a nice chat with Shark Tank veteran Alice Brooks who enticed Mark Cuban to invest in her STEM-based building sets that are now being distributed for sale by PlayMonster. I can imagine lots of girls like my own daughter have fun building their own carnival rides with these playsets. If you are shopping for a teen or tween than you know music is something they'll be interested in. 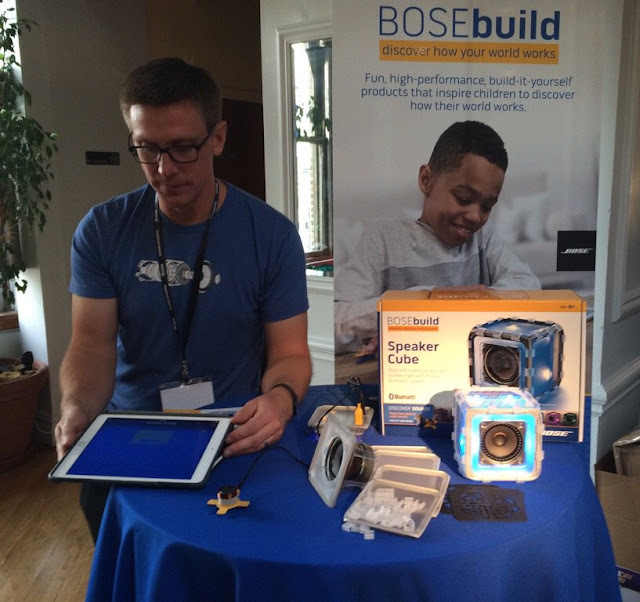 BOSE showed me how kids can make their own Bluetooth speakers with a BOSEbuild kit. I love ice cream! Look at this giant ice cream truck for the Our Generation doll collection produced by the Maison Joseph Battat company. These are just a few of the great items that were on display. Peruse through The Toy Insider's 2016 HOLIDAY GIFT GUIDE to ensure the children in your life have a holiday full of play. While you are looking through the guide take advantage of the Wish List feature. On each gift guide page on thetoyinsider.com you'll see a green "Add to wish list" button. Parents can compile items on a list that can be shared on social media and sent via email. Send it to family and friends who are holiday shopping for your kids or keep it as your own gift giving checklist. The wish list shows a small image of the product, the product name, its age recommendation and Manufacturers Suggested Retail Price (MSRP). Plus there's an easy "buy it now" button, that will allow gift givers the opportunity to purchase the products online right away. 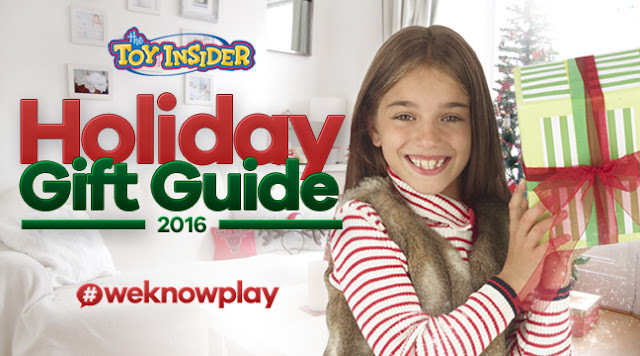 The Toy Insiders are making holiday shopping as easy as saying 1,2,3! 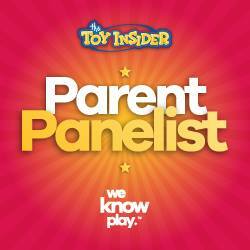 I encourage you to check out The Toy Insider's Holiday Gift Guide and while you're on their website check out some of my Parents Panel contributions. 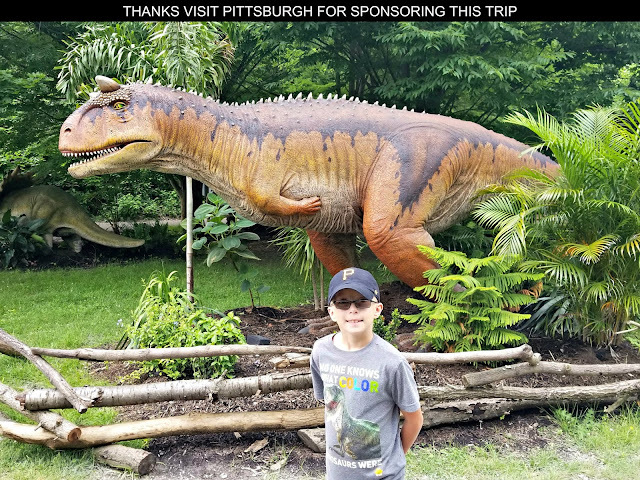 A GEEK DADDY has written on a variety of topics ranging from selecting age appropriate movies for kids to discussing what to do with toys your children don't play with anymore on thetoyinsider.com.